Who misses Joo Won with suits? Your prayers have been answered then! 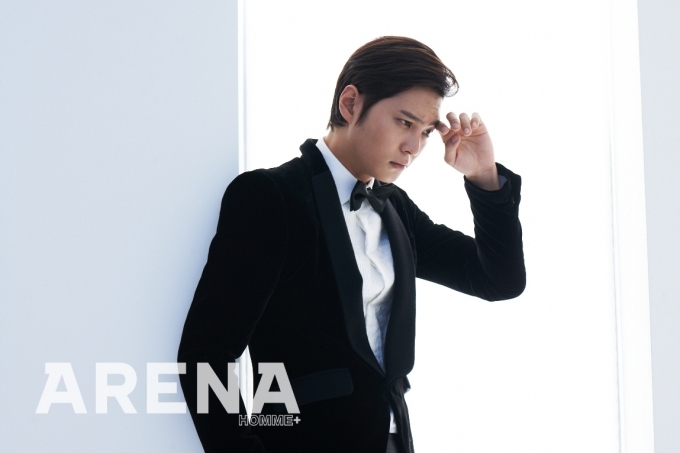 Joo Won is to be featured in Arena Homme Plus magazine for November, donning up in suits. With that swept up hair and his infamous frown, it reminds me of Lee Kangto. The only difference is that I never saw Kangto wear bow ties , so this might be the possible look for his new drama The Secret Lovers. An agent a la Bond? We’ll see.